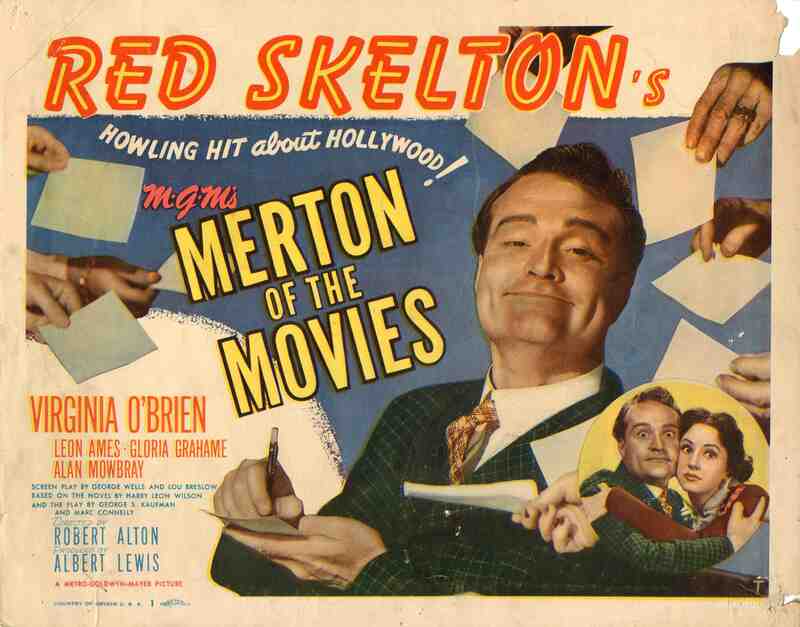 From MGM we have here Red Skelton dreaming of becoming a serious actor in the days of silent films. From his small home town he idolizes the screen heroics of Leon Ames. Making his way to Hollywood as a pawn in a publicity stunt he soon realizes the road to fame on screen is a might harder than he expected. Finding himself in the category of an extra he is lucky enough to have beautiful Virginia O’Brien looking after him through his upward struggles. When she gets her break, his isn’t far behind. His adventures are truthfully not all that interesting on his way to both being discovered and self discovery at learning he can make people laugh. When he is finally cast in the lead role of a feature film his leading lady is that great Noir temptress Gloria Grahame doing just that, tempting Red with her girlish charms. Once again it’s the true love of Red’s life Virginia O’Brien out to save our naive funnyman from Gloria and Leon Ames’ entourage. Ames has a rather severe John Barrymore habit of drinking his career away leading producers and director Alan Mowbray into casting Red in the first place. One way or another things will work themselves out in this comedy from MGM directed by Robert Alton who other than this and one other title was mainly a choreographer on films such as Annie Get Your Gun. Merton had been previously filmed in 1924 in silent form and I believe is a lost film. As with many other Skelton titles, Buster Keaton was supposedly behind the scenes designing some of the gags and there are a couple that would seem to be from the Keaton school of prat falls. Leading lady O’Brien was also with Red in DuBarry was a Lady and would pretty much retire from film following this effort turning up 8 years later in a Francis film with Donald O’Connor. Overall there is nothing wrong with this title and seeing Red get hammered on champagne has it’s moments but I did find it rather forgettable. I expected or perhaps wished for a few cameos from the stable of stars that MGM loved to advertise. No such luck as the film could have used them. Too bad, as I like the lead players and they were trying. Mainly for Skelton fans I guess.